Kenneth R. Vaughan is a fifth year Ph.D. candidate is and currently ABD. His research broadly focuses on political sociology and the sociology of religion. He has recently published research on religious disparities in Lebanon’s consociational democracy. He has also published research on health and education, religion and immigration, and religion among Korean Americans. His dissertation focuses on the state of European democracy, the rise of the European far-right, and religious regulations. Vaughan is also a Teacher of Record at Baylor University. 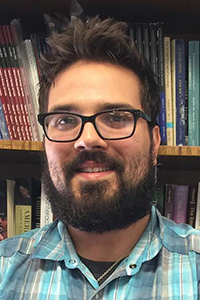 Kenneth Vaughan completed a Master of Arts in sociology at the University of Texas at San Antonio in 2014. He was advised to apply to Baylor University due to the reputation of its Sociology of Religion program. Vaughan was also attracted to the research in political sociology that several Baylor scholars were engaged in. Kenneth Vaughan's Full Curriculum Vitae.